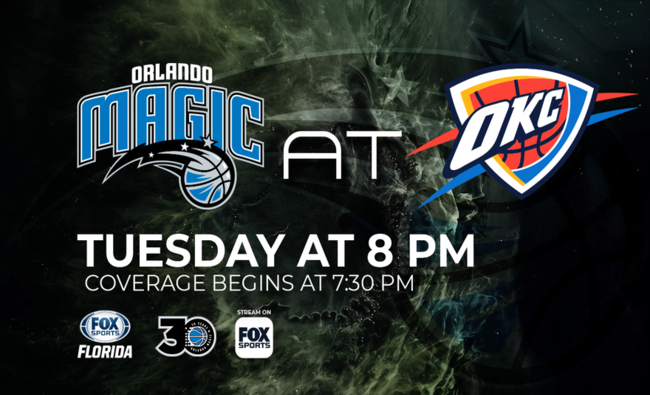 Magic @ Thunder - Tuesday, Feb. 5 @ 8 p.m. - Orlando Magic Forum - TrueBlueNation.com - The Official Orlando Magic Fan Community! Hopefully this game is a little more exciting than the Super Bowl was on Sunday night. Lol. That was by far the most boring Super Bowl ever! But it serves the NFL right for wanting the Rams in there instead of the Saints. Ok enough football. Go Magic!! One thing’s for sure... they will be Chuck Norris Tacoma ads. Lol. At least 50 times per game! Evan with the 3 pt foul. And I like clockwork Chuck Norris Tacoma ad. Getting the feeling early on we will have to shoot close to 50% from the field to stay in this. Gonna take at least 115 tonight to have a chance.